Disclosure: This post is authored by our ambassador, Kristy Bernardo of The Wicked Noodle. 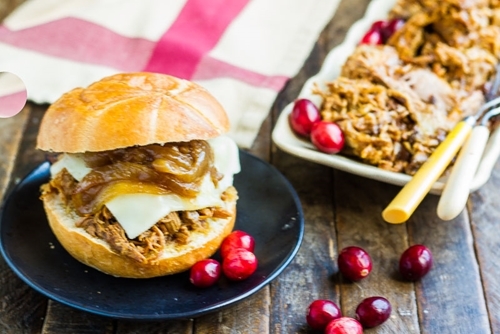 I'm thrilled to be bringing FoodSaver® brand fans this simple and delicious Slow Cooker Pork Roast recipe. It's perfect for busy weeknights since there are only a handful of ingredients and only takes about ten minutes to put together! I've only been using my FoodSaver® FM5000 Series Food Preservation System for a few months and I can't express enough how much it's transformed my cooking. I've always strived to reduce food waste in my kitchen as much as possible but it's not always easy. As someone who cooks for a living, I purchase so many different types of ingredients that using them all before they expire can be challenging. And it wasn't much different before this was my career and I was just cooking for my family. As a busy parent I had so much on my schedule that meal prep wasn't always easy and there were many times I'd have to throw away produce that went bad before I had a chance to use it. Thankfully that waste has been significantly reduced thanks to FoodSaver® brand products. Now I feel more confident purchasing meat and produce in bulk then vacuum sealing whatever I don't use right away. For this recipe, my local market had fresh cranberries on sale but I had to buy three bags! I knew I would use one bag to make this Cranberry Balsamic Slow Cooker Pork Roast but wouldn't be able to use the remaining two bags. 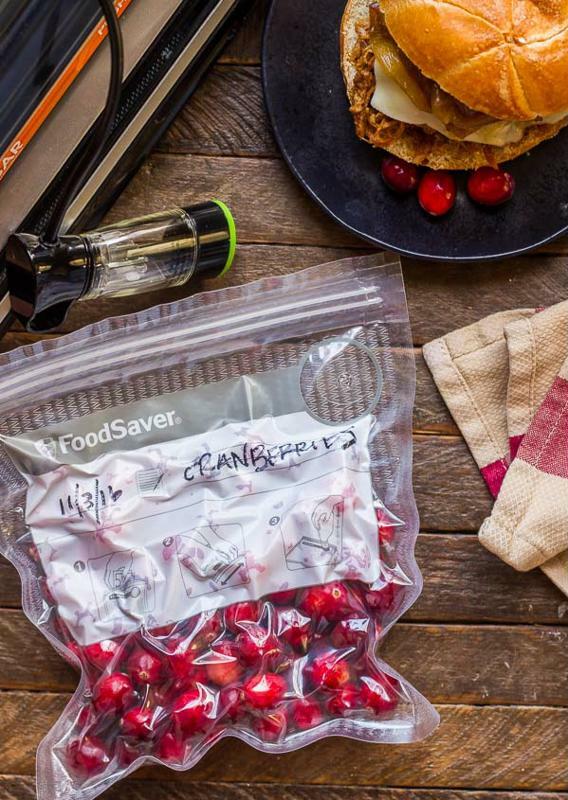 When I got home, I just popped the leftover cranberries into a FoodSaver® Vacuum Zipper bag, stored them in the refrigerator, and was able to extend their shelf life until I needed them. I use the FoodSaver® Vacuum Zipper bags a lot to preserve the freshness of my food, but my favorite has to be the FoodSaver® Fresh Containers. They stack so nicely in my fridge and because they're clear I can see what I have at a glance. They've made such a difference in both food preservation and organization that I'll never be without them again! 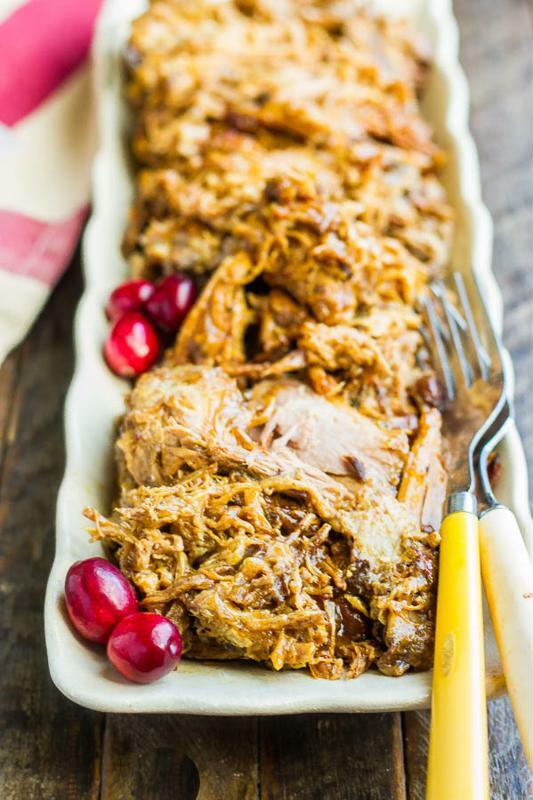 I highly suggest giving this Cranberry Balsamic Slow Cooker Pork Roast a try. My family loves to serve it over mashed potatoes but I also put it on buns and it's fantastic! I like to fry up some bacon, caramelize some onions in the rendered bacon fat and add it to a bun with some creamy fontina cheese. It would also be great with some sliced jalapenos for some spice. I know you'll love it any way you make it! Pat pork shoulder dry with paper towels and season liberally on all sides with salt and pepper. Preheat a large skillet over medium-high heat. Add oil and heat until shimmering. Carefully add pork and sear until well-browned on all sides. Meanwhile, pour honey and vinegar into a slow cooker. Stir to combine. Add seared pork shoulder then top with fresh cranberries. Cover and cook on high for 6-8 hours or until pork roast is fall-apart tender. Shred pork with forks; discard any bone or pieces of fat. Serve over mashed potatoes or on buns with desired toppings. (Recommended: caramelized onions and fontina cheese with optional crispy bacon).